By purchasing an advertising package on the www.parklink.uk website, you are deemed to have accepted these terms and conditions. These terms and conditions and the contract of which they form part shall be governed by English law. 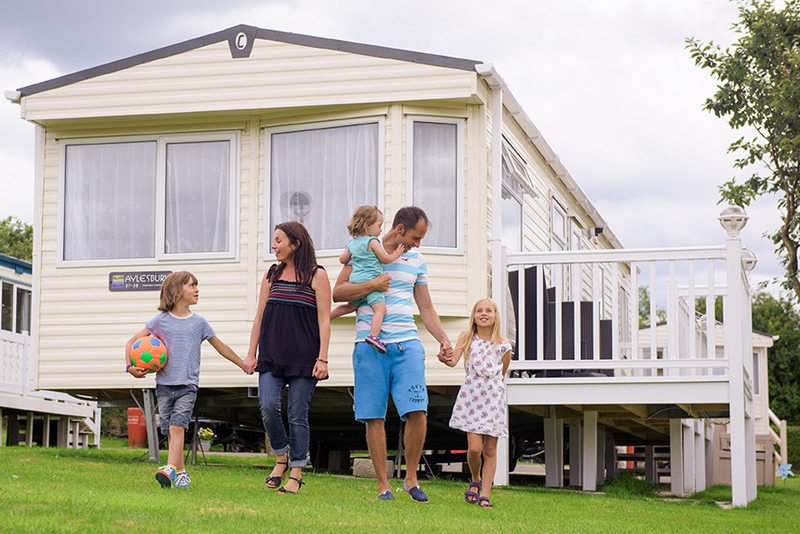 All references to “you” and “your” refer to the individual applying to list an advertisement for a caravan or lodge holiday home on the www.parklink.uk website. All references to the “website” refers to the www.parklink.uk internet site. All references to “we” or “us” refers to the company Parklink. The contract is personal to you. We may, but you may not, assign the contract to a third party. We may subcontract our obligations under this contract, but will remain liable to you to perform those obligations. Except in respect of a payment obligation, neither of us will be liable for any failure to perform any obligation to the other due to causes beyond our respective reasonable control. Such causes include, without limitation, war, riot, civil commotion, fire, flood, earthquake, epidemic, inability or delay in obtaining supplies of materials, strike, lock-out or other industrial action or trade dispute (whether or not involving our work force or the work force of a third party), or breach of an obligation owed to us by a subcontractor. The headings to the sections of this contract shall not affect the construction of this contract. In this contract where the context so admits and requires the same the use of the plural shall include the singular and the use of the singular shall include the plural. In this contract references to the masculine, feminine or neuter genders shall include each and every gender. Once you have applied to list an advertisement and paid for it, we will contact you within 24 hours using the email provided to obtain the information we need to list your advert. This will will include a description and images. Once we have received this information we will use our reasonable endeavours to publish the advertisement on our website within 72 hours. We may need to contact you for supplementary information before we are able to publish the advertisement. If that is the case, we will do so by email to the email address which you provided. Any delays in responding to this request may further delay the publishing of your advertisement. You may feature only one caravan or lodge in each advertisement. When you make a payment to us and send us your description and images, you are making a contractual offer to us. The receiving of the payment (and the formation of any contract) is subject to the condition precedent of our accepting your advertisement for listing. If we reject your advertisement and you have made the payment to us, you will receive a full refund. If you cancel an advertisement for any reason and want to re-list another advertisement on our website, you must pay a further charge. We will list your advertisement on the www.parklink.uk website until you request the removal of the advertisement or until we remove the advertisement in one of the circumstances outlined below. We may email you (to the email address which you have registered with us) from time to time to check you still wish to advertise your caravan or lodge. We will withdraw your advertisement if you respond by requesting us to do so. We may also withdraw your advertisement if you fail to respond to such an email within seven days of the date of the email. It is your responsibility to ensure that you keep the registered email address up to date. You are responsible for any emails sent to us from your registered email address at all times. After you have made this request we will remove your advertisement normally on or before the seventh day after you make the request. We reserve the right to remove the advertisement immediately if you breach this Agreement. In such an instant we will notify you accordingly and cancel any future payments which you are scheduled to make. Where we remove your advertisement pursuant to this paragraph and within the first six months of it being listed on the website (but not otherwise) we shall refund you with 50% of the initial amount you paid. In no other circumstances, save as provided in this paragraph, will you be entitled to a refund of monies after we have published your advertisement. Essential is free to list and 1% (min £500) if you achieve a sale from an enquiry we send you. Plus is £25 to list and 1% (min £500) if you achieve a sale from an enquiry we send you. Premium is £125 and 1% (min £500) if you achieve a sale from an enquiry we send you. Ultimate is £250 and 1% (min £500) if you achieve a sale from an enquiry we send you. Once you or the buyer informs us that they have purchased your caravan or lodge we will send you an invoice for the 1% of the final selling price or minimum of £500 which will need to be paid within 14 days. If you sell the caravan or lodge back to the park, trader or to a private individual not recommended by Parklink then no commission will be due on sale. We accept payments by credit/debit card via our website payment page, over the phone or bank transfer on request. All payments must be sent direct as per payment instructions. You can send us questions about payments by email to accounts@parklink.uk or by telephone on 07917 868629. We will confirm by email when we have received payment. For all enquiries relating to payment confirmation contact us by email at enquiries@parklink.uk or telephone our customer service centre on 01626 833733. We use our reasonable endeavours to keep disruption and “down-time” to a minimum. Nevertheless, we do not guarantee that the advertisement, or our website, will be available at all times. Our liability for breach of contract or negligence shall not exceed an amount equal to the price of the advertisement involved, provided that nothing in this contract shall limit our liability for death or personal injury caused by our negligence or that of our agents. To protect your privacy, we do not publish any of your personal details on your advertisement. All enquiries come directly to us here at Parklink and we pass on interested third parties to you. Third parties who express an interest in your advertisement are requested to complete a form on the website, which we will subsequently forward to you by email to your specified address. Our general website Terms & Conditions also form part of this contract. They can be viewed here. You acknowledge that in entering into this contract you have not relied upon any representations other than those referred to in this contract. The provisions of the previous sentence shall not apply to any fraudulent misrepresentation. Unless we grant a waiver in writing, any failure by us at any time to enforce a provision of this contract shall not be deemed a waiver of any part of this contract. A third party who is not a party to this contract shall have no rights pursuant to the Contracts (Rights of Third Parties) Act 1999 to enforce any area of this contract.